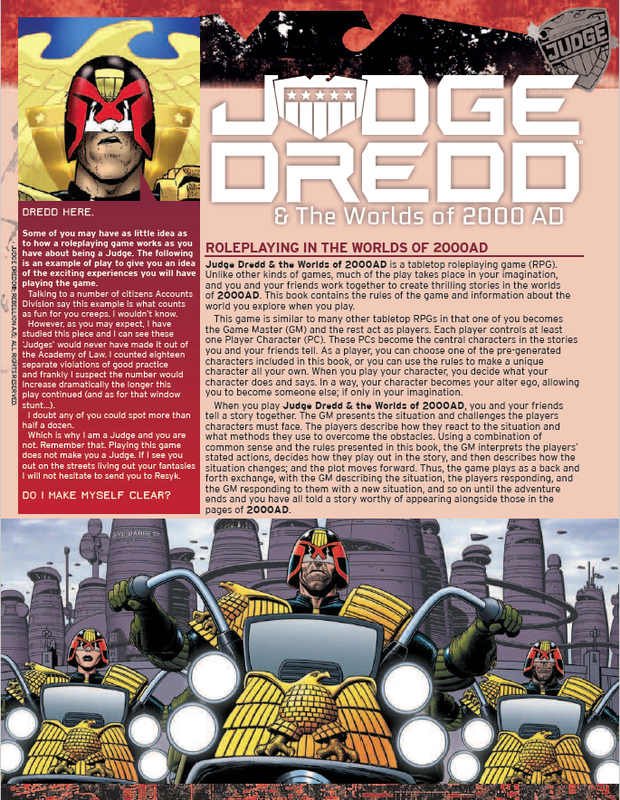 We have a big preview of Judge Dredd & The Worlds of 2000 AD for you this week! Three pages, containing an "example of play". As always, make sure you are signed up to our mailing list for the latest news about Judge Dredd & The Worlds of 2000 AD tabletop adventure game!